Ruby’s love of baking is the result of having become everyone’s ‘mother’ when she went to University, taking seven male housemates under her wing, cooking and baking for them. 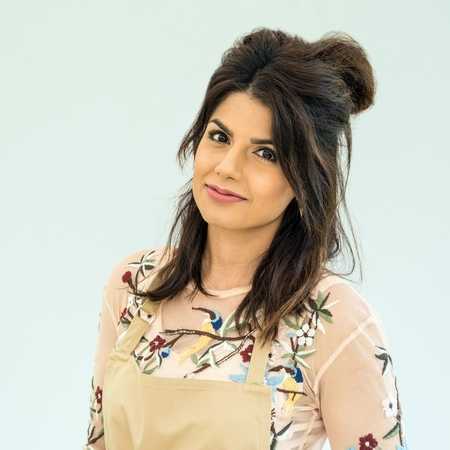 Growing up as part of an Indian family, the youngest of four children, Ruby remembers childhood baking being about her mum making Jalebis’, an Indian sweet. Now she loves to gather friends and family together to indulge in her cakes and pastries, as well as her infamous spicy minced lamb pastry rolls. Her baking style is pretty relaxed and boozy and she will always try to sneak some into whatever she is making.